Who knows that Sir Henry Morton Stanley, coiner of the famous phrase above, had women in his party when he crossed Africa in 1877? Or that one of his bearers, Uledi, was a strong swimmer who saved many lives? Such interesting and little-known facts abound in a new exhibition, Hidden Histories of Exploration, staged by the Royal Geographical Society, which is accompanied by a handsomely illustrated catalogue. If you can't make the actual venue in London, trawling the associated website is a treat. (The link takes you directly to one of the many fascinating pages.) 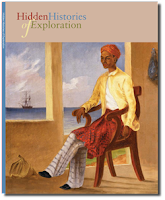 Paintings by unknown explorers as well as more famous names illustrate the informative text, including an amazing portfolio of Easter Island scenes. Just testing to see if I can post to this Blog via my i-Phone. The new Game of Thrones Season 2 Teaser Trailer "Shadow" is out. Why Oracle Certification is Necessary and Who Needs It? Copyright © 2011. Latest Trends Buzz . All Rights Reserved.